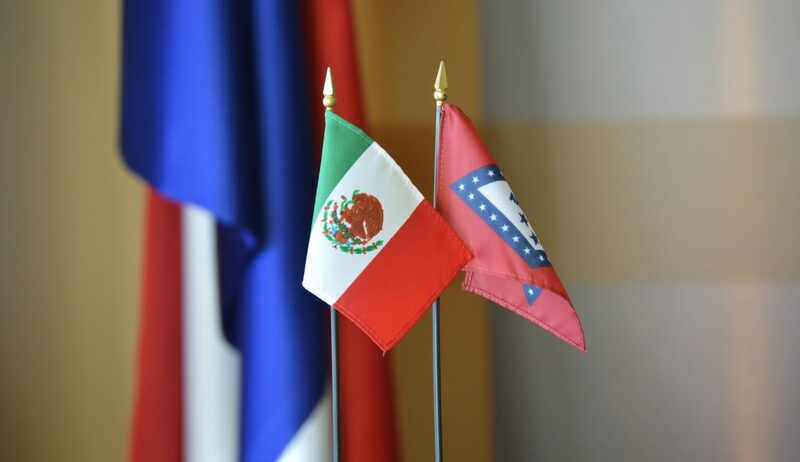 The World Trade Center Arkansas will be hosting an inbound trade mission with its partner World Trade Center Querétaro which seeks to recruit Arkansas companies to sell products or services to Querétaro, Mexico. Companies interested in meeting with the WTC Querétaro representatives and Mexico diplomats to learn how to sell to the region and Mexico as a whole can contact Torres to participate in the trade mission or fill out the interest form here. The meetings are free of charge. Querétaro is Mexico’s most highly developed city with more than 20 industrial parks, 45 research and development centers, more than 800 world-class companies and top level universities including Arkansas State University’s Campus Querétaro. Much economic and higher education activity between Querétaro and Arkansas already exists, making the region a natural partner to grow business and explore educational opportunities with Arkansas companies and universities. After participating in these meetings, the next step for any company seeking to sell to the region is to utilize WTC Querétaro’s business-to-business matchmaking service to find the best fit for their company. If a match is found, the Arkansas company can then decide to arrange the business-to-business meetings at the WTC Querétaro in Mexico during the World Trade Centers Association’s 50th General Assembly in April 2019. The World Trade Center Arkansas will facilitate meetings at the General Assembly for Arkansas companies. STEP Grant funds may be available for eligible small business concerns.